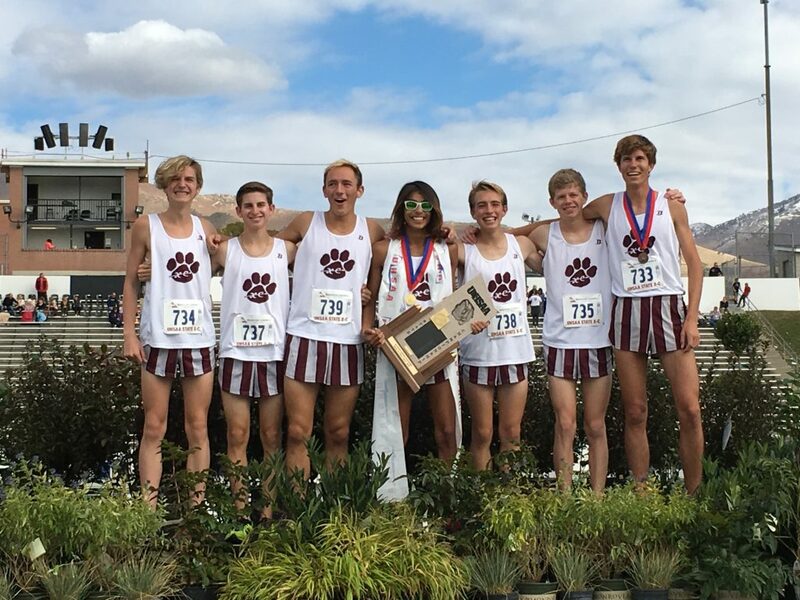 ST. GEORGE — Led by a stellar first-place overall finish by its top senior runner, along with strong performances from his teammates, the Pine View Panthers won the state boys 4A cross-country title Wednesday afternoon. 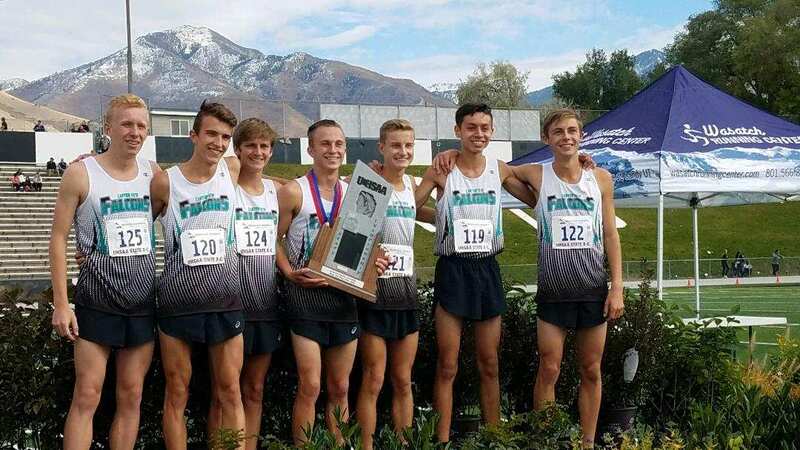 Competing at Sugarhouse Park in Salt Lake City, the Panthers scored 59 points to win the meet handily, while Region 9 rival Canyon View placed second overall with 125 points. A total of 16 4A schools participated in the event. 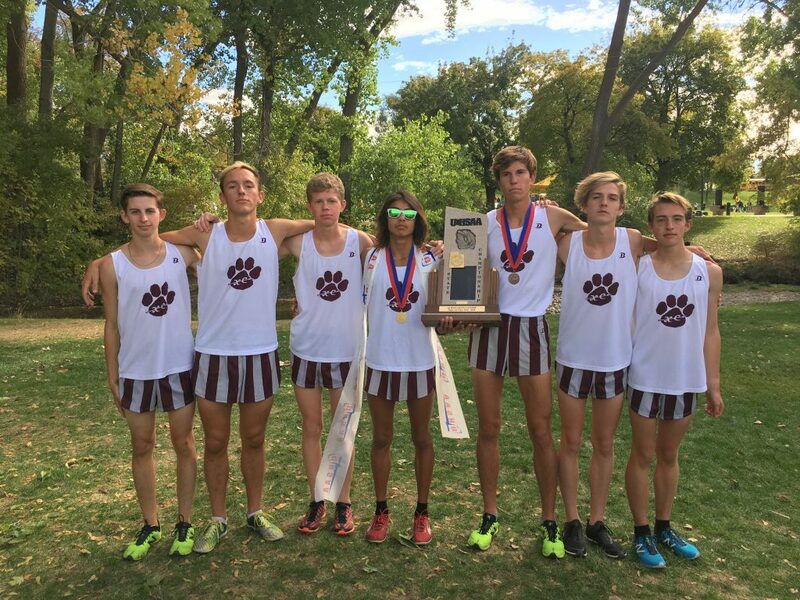 Pine View and Canyon View also had the top two individual finishers, in that order. Julien Canales of Pine View crossed the finish line in first place out of 124 runners, in a time of 15 minutes, 42.2 seconds. Canyon View senior Easton Brandt was less than two seconds back, placing second in a time of 15:44.0. Pine View coach David Holt said Canales ran this year with a renewed sense of dedication. Holt described the race itself, from its measured start to its fast-paced finish. The race started. They were in good position. There was probably a pack of about eight boys for the first mile and a half, almost 2 miles, and then our two top guys were in that pack … and that pack just fractured, and our top two guys went and moved right up to the lead. Meanwhile, the rest of the boys on our team just kept moving up the whole race. Holt said as he waited at the finish, he was thrilled to see Canales coming across a little hill in the lead position. Not far behind him was Pine View senior Nathan Beitler, who placed fourth overall with a time of 15:51.1. Also for the Panthers, sophomore Scottie Bushar placed 15th (scoring 13), senior Cooper Despain took 21st (scoring 19) and senior Michael Abegglen came in 24th (scoring 22). The placement positions of each of the top five finishers are counted toward the team total, but a few individual athletes who competed solo because their teams didn’t qualify for state were excluded from the team scoring. Ties were broken by the sixth-place runner’s finish. 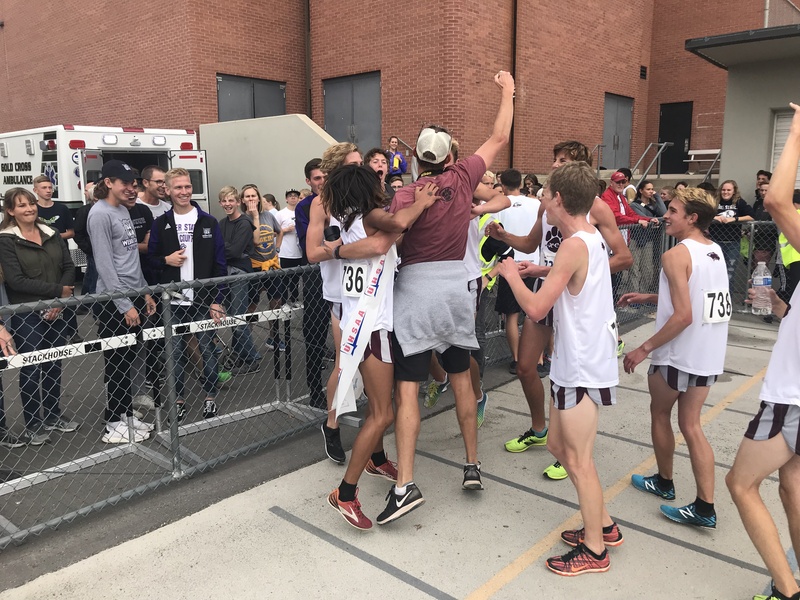 Also from Region 9, Hurricane High brothers Joshua and Caleb Armstrong placed sixth and ninth overall, respectively, helping the Tigers to a fifth-place team finish. Desert Hills placed sixth. For complete results, click here.